A liquor store co-owned by Nicole Wegman is to open soon in front of this Wegmans supermarket on Amherst Street in North Buffalo. The State Liquor Authority approved a license for a wine and liquor store set to open in front of a Wegmans supermarket in North Buffalo, over objections from local liquor store owners who claim the Rochester grocery store chain is actually behind the plan. The SLA granted approval Tuesday to Amherst Wine Partners LLC. 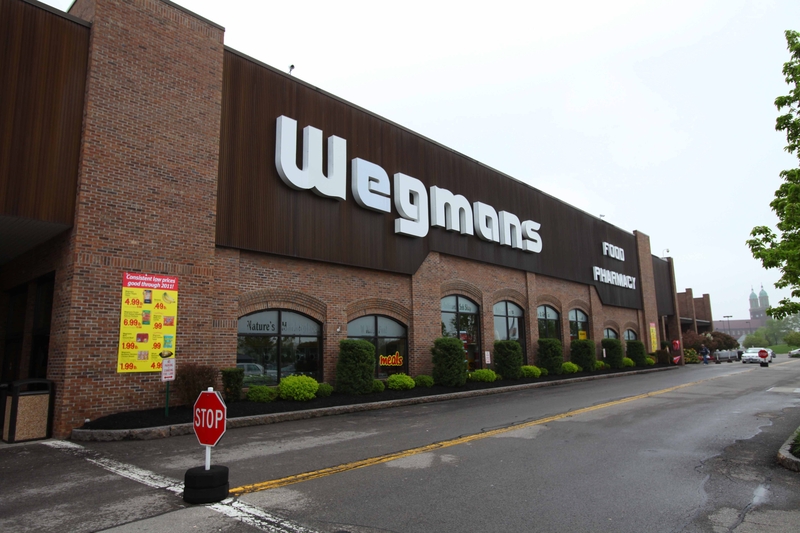 Its co-owners are Nicole Wegman, whose father is Wegmans Chief Executive Officer Danny Wegman, and Patrick Fisher, a Lake View resident who is a manager at a Wegmans supermarket in West Seneca. The SLA meeting was held in New York City. Nicole Wegman and Fisher, along with some Buffalo-area liquor store owners, participated via a video link at the SLA’s Buffalo office in the Electric Tower. Amherst Wine Partners will open a nearly 15,000-square-foot store in a building that it will lease from Wegmans. Nicole Wegman said plans call for the store to open in October or November. Local liquor store owners who opposed the application, along with an attorney representing some of them, argued the new store is not needed, given that at least seven liquor stores are within 3½ miles of the Amherst Street location. Opponents also contend that Wegmans is using new stores such as this one to sidestep a state law barring supermarkets from selling wine. In past years, that issue has spawned intense lobbying and legislative battles at the state level. While Nicole Wegman will continue to work as a vice president of perishable merchandising for Wegmans, she said the store that she and Fisher will operate is independent of the supermarket chain. Caputi questioned why Nicole Wegman had owned a large Rochester-area wine and liquor store, sold it to her father and is now part of a new store opening in Buffalo, much farther from where she lives. “This is trying to use the rules to get licenses because they couldn’t get wine (sales) in grocery stores,” he said. Caputi predicted other liquor stores, with Wegmans family members as license applicants, will pop up near other Wegmans supermarkets in the Buffalo Niagara region in coming years. Pressed by Rosen, Nicole Wegman estimated said she would be at the new store two to three times per month, but would be in contact with Fisher by phone and electronically. Fisher will manage the new store on Amherst Street. In comments after the meeting, Nicole Wegman said that when she owned her Rochester-area store, she never made cooperative purchases with other family members’ stores. Caputi predicted the Buffalo area will see more license applications like the one approved Tuesday.